Police have identified the five people who allegedly evaded police and seriously injured a bicyclist in a hit-and-run crash Friday in Palo Alto. At 3:28 p.m., a patrol officer tried to stop a black 2008 Volkswagon Touareg in the 700 block of Emerson Street. When the patrol car's emergency lights lit up, the suspect vehicle immediately fled. The vehicle turned left on the next street, heading east in the 200 block of Homer Avenue, which is a one-way, westbound roadway. When the officers turned the corner, the vehicle was out of sight, but they did find a bicyclist down in the roadway. The cyclist, a woman in her 40s, suffered major injuries and received first aid on the scene. She was later taken to a hospital and treated for major injures, which she will survive, police said. A minute later, officers found the suspect vehicle abandoned in the 700 block of Ramona Street. Witnesses said they saw several people flee the vehicle on foot. At 3:40 p.m., officers detained 18-year-old D'Marco Aaron Hal of Oakland, and 18-year-old Daniel Lamar Lesley of Lathrop, in the 300 block of Forest Avenue. Detectives recognized Hal as one of the outstanding suspects from the December burglary of the Apple store in downtown Palo Alto. With the help of other local law enforcement agencies, officers searched the area for the other suspects. At 6:05 p.m., a canine team led officers to a shed in the backyard of a residence in the 700 block of Waverley Street. There, officers found one man and two women who refused commands to surrender, and were taken into custody. 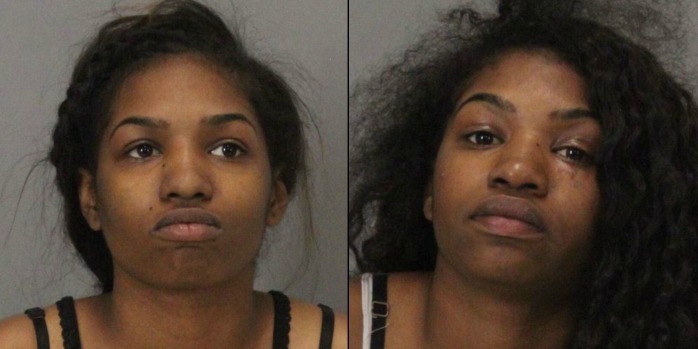 Police arrested Johnquaeja Dupreshamichelle Carpenter and Johntaeja Carpenter, both 18 from Stockton, as well as 20-year-old Jonah Theallo Johnson of Oakland. Johnson was on active parole for robbery and had a no-bail felony warrant for a parole violation out for his arrest, police said. Police learned that Johntaeja Carpenter was driving the vehicle when it fled the officer and struck the bicyclist. 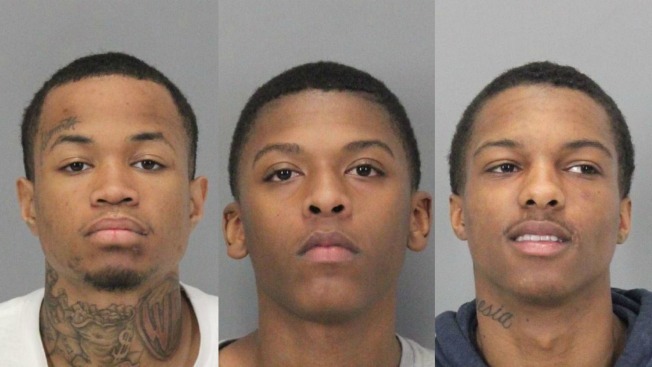 All five suspects were booked into the Santa Clara County Main Jail just after 2 a.m. this morning. The suspects were booked on suspicion of numerous offenses including evading arrest, powling, burglary, vandalism and hit and run. Anyone with information about this incident is asked to call the Palo Alto Police Department's 24-hour dispatch center at (650) 329-2413, or email anonymous tips to paloalto@tipnow.org.